Trajectory is an integrated branding and marketing agency specializing in healthcare + wellness. We believe the best way to build a brand that matters is to understand a simple truth — if you want to stand for something, you can't stand for everything. So we put a stake in the ground around the industry segments we know best. Our clients span skin care, beauty and personal care; healthcare services and technology; physician groups, hospitals and health systems. These are the industry segments and consumer, professional and patient audiences we know best and have been immersed in since 1999. 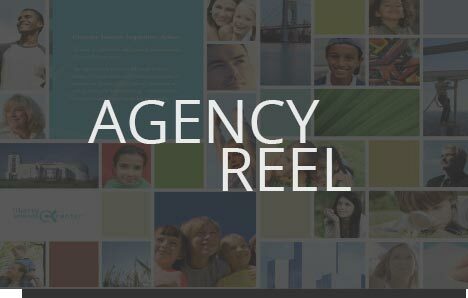 As an agency, we exist to shape and guide the trajectory of our client's brands and businesses. We do this by crafting and aligning purpose, culture, strategy, design, communication and digital experience — so everything comes together to strengthen the connection between a brand and its audiences. For some clients, our growth trajectory begins with launching a new mass market skincare range, a new destination med spa or a state-of-the-art surgical facility. For others, it's a rebranding of a health system, a global company specializing in clinical trials technology, or a repositioning of a professional skincare brand. And still for others, energizing existing health system, physician group and fertility benefits businesses through integrated programs of strategy, design, marketing and digital. We didn’t realize how smart we were to engage Trajectory for our healthcare rebranding. They’re a strong marketing agency partner, adding tremendous value to our organization. We greatly appreciate the relationship we’ve developed and look forward to nurturing and growing it in the future. You always hit the strategic and creative bullseye. There are no mistakes, no surprises and you make us look good to the public, to our Board and others. While others talk this, Trajectory does it. From brand strategy to brand messaging to marketing campaign execution, you’ve been wonderful partners. Trajectory has been an invaluable partner in launching Aquation into the mass skin care market, and they’re really an extension of our team. Beyond their branding, marketing and creative chops, this new brand launch required tight collaboration, strong management, keen problem-solving skills and a positive get-it-done attitude. We love their energy, focus and passion for our business. Trajectory was a wonderful strategic and creative healthcare marketing partner through our rebranding of Eclipse. Their know-how and guidance – from brand strategy, to brand messaging, brand architecture through to brand identity development – helped us to push the boundaries and deliver strong results. Their partnership has revitalized Eclipse, and we look forward to tremendous sales momentum. After years of working with healthcare marketing firms large and small, I found an agency that understood immediately the concept, look and feel of an often difficult service line – cancer – to bring to the public. Trajectory conceived and designed a healthcare marketing campaign that was meaningful, beautiful and really reached our audience. I look forward to continuing our relationship. Trajectory excels in brand building. From our health system rebranding through to our external brand and service line marketing campaigns, they’ve captured what makes us special to our Central NJ communities. And they’ve done this in a way that has brought all of us closer in our mission. They are a very professional, insightful and creative healthcare marketing agency. Trajectory was a tremendous branding partner, creating our new brand from the ground up. Their health and wellness expertise – from creating our brand strategy and brand messaging, through to logo development and website creation – was invaluable. Their collaborative approach was vital in creating this new brand that we’re all so proud of. Of all the strategic and creative agencies I’ve worked with in the past, Trajectory is second to none! They’ve helped us achieve a number of our branding and marketing goals in a crowded skincare market, including launching our new products. Their impressive work has helped us move the needle across all of our professional touch points. Our agency name has been around since our founding 65 years ago, so we were concerned about initiating a rebranding — with clear divisions among our key constituencies. Trajectory stood out during our RFP process not only because they are clearly subject matter experts with ample experience, but because they made it clear they would stand with us as true partners in some highly sensitive conversations. Throughout, they engaged with board members, senior staff, consumers and donors in an inclusive discussion that was a true organizational journey of self-discovery. They were our guide, our facilitator and our friend — and while not every person agreed with the final recommendations, they respected and supported them because they had the opportunity to participate in a thorough and comprehensive process. The scope of this new beauty tool product launch (the first of its kind in the skincare market) has truly been soup-to-nuts, and it was critical that we get it right. Through every step of the process, Trajectory’s branding and marketing work has been stellar. They’re an extraordinarily talented shop delivering great work on time and on budget. In fact, we’ve asked them to become our agency of record. In 25 years of healthcare marketing, I’ve never seen a better orchestration of staff and outside resources to reach an organization’s ambitious goals. Trajectory has been an outstanding healthcare branding and marketing partner and their work has contributed enormously to our resounding success. While we take the act of providing a reference seriously as it reflects on our reputation, this is an absolute pleasure for us. You have a fan in Freedom Eldercare and we can speak honestly to the professionalism your healthcare marketing agency exhibits on a daily basis. We initially hired Trajectory to guide us through a corporate naming assignment. This led to our corporate re-branding and we haven’t looked back since. They’re a wonderful, trusted and valued strategic and creative branding and marketing agency partner to QMed. Thank you for Trajectory’s splendid healthcare rebranding work. You’ve done an outstanding job blending respect for the past with gentle nudging of inherently sensible and winning ideas. Our health system brand is an emotional lightning rod for many, and you navigate it extraordinarily well. Over three years, Trajectory shaped and launched three new NFL apparel brands and developed their integrated marketing campaigns. Each delivered above-forecasted, non-game day revenue. They’re a great branding and marketing partner, consistently and collaboratively helping build our NFL consumer products business.